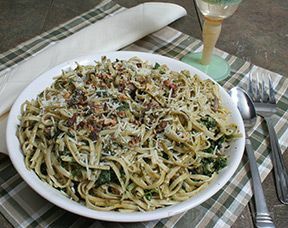 A richly flavorful pesto of basil, garlic and oil makes a tasty dressing for pasta as well as a wonderful addition to sliced tomatoes, crusty Italian bread, pizza, or steamed new potatoes. 1 clove garlic, pressed or minced. 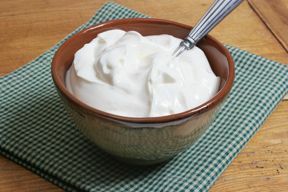 Add more to taste; this is minimal. Place leaves in food processor and chop coarsely. 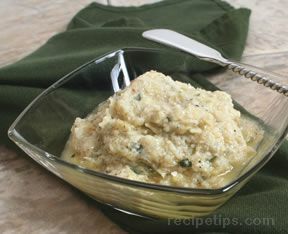 Add remaining ingredients and pulse, scraping down the sides of the container when necessary, until all contents are well blended into a medium-thick paste. Taste the pesto for seasoning and add salt, if needed. Thin with a little water if too thick. 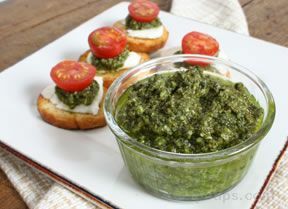 If you have access to an abundance of basil, make excess pesto and freeze it for future use.